Earlier Oniric Factor already announced the development of Lost Wind Platinum but few information was given about the deluxe edition that it was also preparing. With every new development Oniric Factor try to go a step further and improve its work. Of course this includes the physical editions of its games. The main goal is to be able to improve, in near future, so nice editions such as Ys, Xak or Record of Lodoss War. They set a very high standard but that's it, to try to go further in that direction and try to recover the true value of a physical edition. After a long journey looking for providers outside the country and increase efforts trying to reach the concept now introduced, this journey is not over yet. Anyway Oniric Factor confirms that the normal disk edition of the game will available for 10€. We introduce you a prototype close to the full edition of Lost Wind Platinum. This version is not definitive and it's pending some improvements like box design, addition of tokens, texts reduction and increase the game font size, inclusion of an instruction manual, etc. Above all, Oniric Factor didn't want to fool you and wanted to show a sample of the final product. 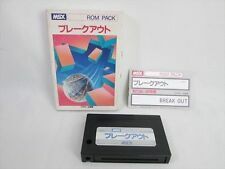 Physical game for MSX2 in disk format. The game in digital and .ROM format. 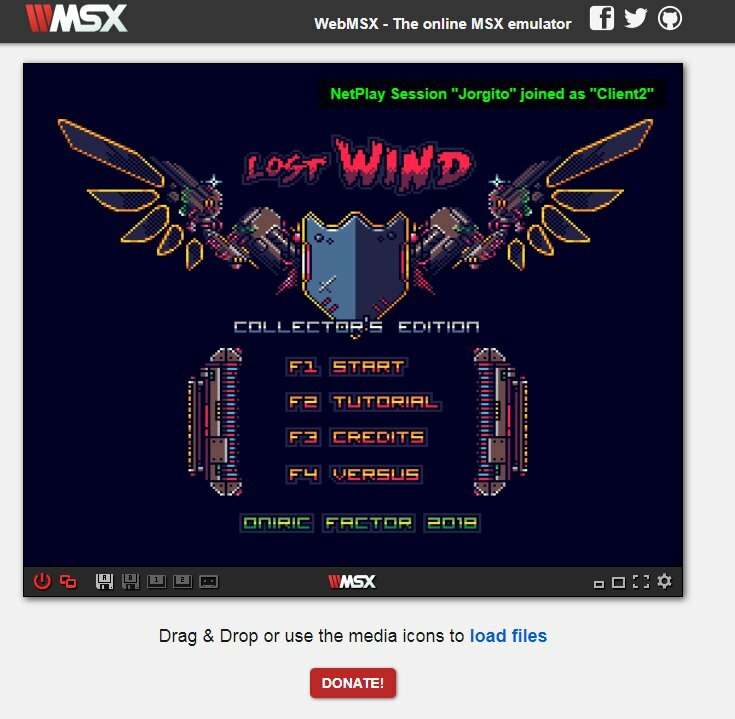 A slighty improved digital version of LostWind for MSX1, winner of the MSX-BASIC 2018 contest in MSX-BLOG. Deluxe box with the same printing quality and good finish than any other commercial board game. (22 x 12.5 cm). Board game Lost Wind. A compact size game board for one or two players that includes: deck of 89 cards with bridge format, UV treatment (avoid the deterioration of sunlight), 3 small boards, 1D6 and a complete set of tokens. This edition will cost 40€. But to make a batch of this special edition your help is needed. Oniric Factor wishes to keep a reasonable price so a minimun number of orders is required. On top of that Oniric Factor wants to improve this edition even further adding extras and improving quality and size of elements depending of how many units are finally produced. The more units produced the cheaper and more improvements can be included for the same cost. How do you want to receive the game: by mail or delivered by hand in some MSX meeting in order to save on shipping costs. After this period if there is a real interest from the community the project will receive the green light and additional 15 days period will start for the payment via PayPal to info@oniric-factor.com. The next step will be the manufacturing and delivery of these units, estimated time 30 days. Oniric Factor sincerely hopes you like the game and can count with your support. A video with the final version will be available shortly. I wonder if the game is in English or in Spanish language? if you know upfront there will be improvements on the whole deal im not going buy a "beta" version..
Packaging looks impressive but... are there any pictures/videos of the game itself? I'd like to see them. The Game is finished, but i'm working on some improvements for the "Deluxe" edition users. The Game you get when you get a preorder is the final version plus these improvements. Wow, looks very original for a Gradius based game Congratulations! Is it still possible to order the deluxe version? He contacted you after I spoke to him about it? DrWh0: I als mailed a while back, but got no email back yet. Lazzari, i sent you an email a couple of days ago. I have sent you an email DrWh0. Just answered his mail. Hope this works out.